VATICAN CITY (CNS) — The sexual abuse of minors and greed by members of the clergy have left Christians wounded, a Servite priest told the pope and Vatican officials during their Lenten retreat. “Pedophilia and the attachment to money are the two behaviors of the clergy that have most wounded and angered the Christian people,” Servite Father Ermes Ronchi said during the retreat March 9. 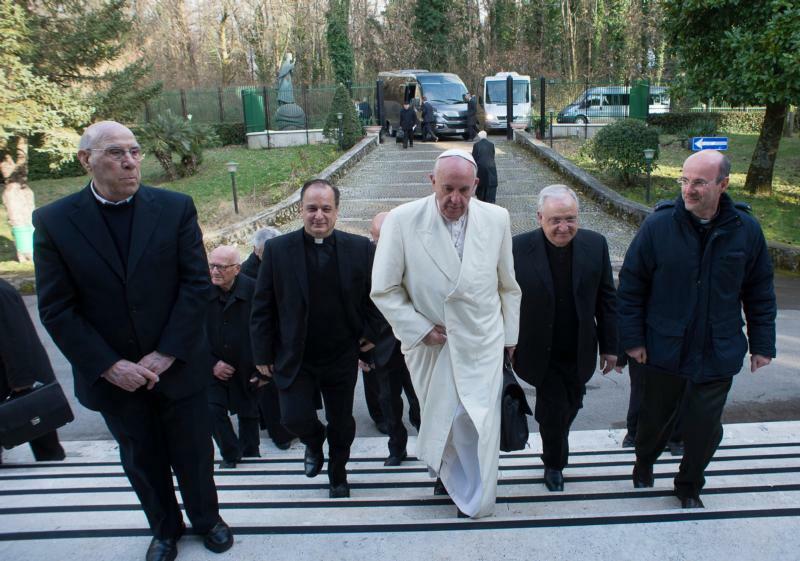 Father Ronchi, a member of Rome’s Pontifical “Marianum” theological faculty, was chosen by Pope Francis to lead the March 6-11 retreat for the Roman Curia at the Pauline Fathers’ retreat center in Ariccia, 20 miles southeast of Rome. “It is instead the smokescreens that are raised and evasive answers behind which we shield ourselves that erode trust and credibility,” Father Ronchi said. Only through transparency can one truly experience freedom, he said, adding that members of the clergy can become liars when they are either bought or give in to fear.